These are the reviews for 90 Regent Street. There are 11 reviews. The property is beautifully decorated, clean and very well located for the centre of town. Clive couldn't have been more helpful and informative. We had a very lovely holiday, thank you. 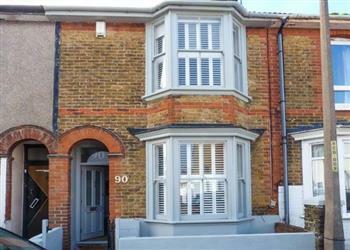 A lovely, modern and well equipped house in a central location in Whitstable. Just a short walk from the high street and the harbour. Great seaside town and a great house, highly recommended. We had one of the most memorable breaks ever thank you, in part due to the beautiful house. It was one of the most comfortable clean yet homely cottages we have stayed in. You had thought of everything in terms of the selection of cutlery/crockery etc in the kitchen, the films and toys/games for kids.......even a BBQ! Whistable has been so welcoming - the people are so friendly. There is such a fantastic choice of shops, cafes, restaurants etc and we visited the beach for a swim/paddle every day! So thank you, we will definitely be back next year! 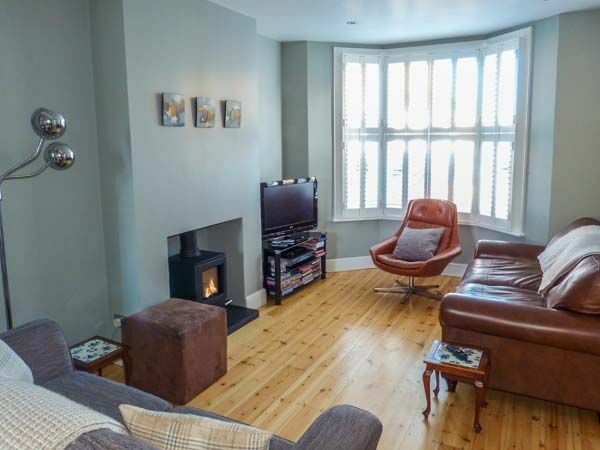 A really nicely decorated house in a great location to access all that Whitstable had to offer. It had loads of children's activities in the house in case of wet weather. 90 Regent Street is in a great location, excellently renovated and furnished. Very comfortable and the lovely gas fire was a nice touch, a well equipped house. 90 Regent Street is nice, stylish and clean. A lovely comfortable place to stay. Hope to return! Being in close proximity to sea and town meant that we could walk everywhere, so once we had found a parking space we could leave the car parked up. The information supplied by the owner of the property was really good, especially where to eat. The overall ambience made it all a wonderful place to be. This was our first visit to Whitstable and staying at the property made our holiday so much easier and enjoyable. The owners had thought of many extra touches, which we were not expecting; toys for the kids, plastic plates and little sets of cutlery. The quality of the furnishings and contents of the house are of a very high standard. It just has a lovely feel to it. Would highly recommend this property to couples or a family wanting to enjoy the seaside. There was plenty to do in the area, even if the weather was not great. Just relaxing at the beautiful home was enough. Thank you. If you're looking for other cottages around 90 Regent Street, we've got some cottages below which may take your liking. There are 38 cottages within 5 miles of 90 Regent Street - and they have reviews too.